Adding a 3D bow tie quilt block, or a 3D bow block are easy ways to add extra texture and dimension to your next project- Ashley Hough shows you how. The 3D bow tie quilt block is made from five squares of fabric. Ashley explains what size of squares are needed to make the size block she is demonstrating as well how many of each color fabric. This block uses two colors of fabric, one for the bow tie and one for the background. Ashley then shows how to begin assembling this block by folding one of the squares of fabric in the bow tie color. She then shows how to sandwich it between two more squares, explaining what color those squares should be and where they should be stitched in relation to the folded square. Once this is done she explains how to align and stitch the remaining two squares in place. After all five squares have been attached to one another Ashley demonstrates how to manipulate the folded square of fabric in the middle of the block so it will lay flat for the final seam. Another creative design idea to add both extra dimension as well as a more feminine look is to create a 3D bow quilt block. This block is made from two squares of fabric cut in different sizes. Ashley explains what size of square to cut for each fabric to make the size of square she is demonstrating. She then shows how to begin assembling the block by finishing two edges of the larger square, which is the bow fabric. 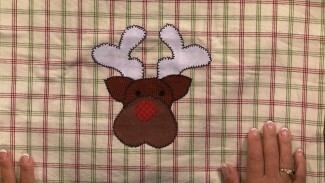 She then shows how to gather and stitch the raw edges of the bow fabric square to the background fabric square. Ashley then gives several ideas in how to finish the bow by cinching together and fastening the bow center. Get more ideas for creating 3D quilts with this fun 3-Dimensional Quilting Class. 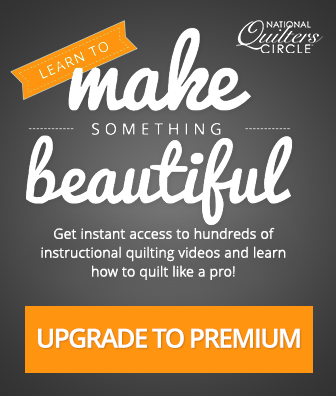 Dana Jones teaches you all about how to make pipe flanges for your quilt borders. Learn simple ways to add texture to your quilts and find out how to best use flanges throughout your quilt. 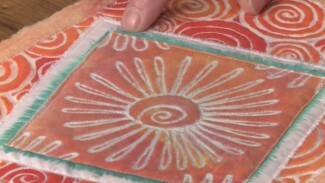 See what tools work best and utilize the tips provided to add texture to your beautiful quilts. Heather Thomas provides helpful tips on how to utilize the fray in fabrics when making your quilt. Learn what fabrics fray better than others and see the many unique ways of incorporating fray into your pieces. Use these tips to add texture to your quilts.